Will Dallas Last, or Be Shot Down Like J.R.? Television reboots are a gamble. One has only to look at 2011’s disastrous Charlie’s Angels, or the short lived Bionic Woman reimagining, to fear the worst for Dallas, the 1978-91 show rebooted for a 21st century audience. Of course, it could be argued that such shows as 90210 have been rebooted to commercial success. But for every good show based on an original, there are more that get canned than get full season orders – see Melrose Place, largely inspired by 90210’s success and fan base, yet not renewed past a first season, and generally received poorly by critics. So does Dallas break the norm when it comes to remakes? A lot of things are stacked in its favour; first of all, classic characters such as J.R. return, and with the likes of him, audiences are likely to be attracted to watch for a number of reasons. Not only is he renowned as one of the greatest television characters of all time, but also, perhaps the old Dallas’ most famed episode, “Who Shot J.R.?” introduced fans – at least on a mainstream TV level – to what is now a widespread plot device. The ending of the episode was left uncertain, and ever since, television shows have used cliffhangers in droves, largely down to the success of the aforementioned episode. It was a truly defining landmark of television, and is still remembered fondly by those who watched back in 1979. Therefore, there is likely to be much emotion attached to the show. Adults who watched Dallas in their younger years may be inquisitive enough to watch, and also to suggest that younger viewers at least give it a try. The previous Dallas ran for fourteen seasons. In terms of continuity, the reboot has continued logically, with the previous incarnation’s characters simply having gotten on with their lives over the past twenty years, and now mixing with the younger additions to the cast, which makes for a varied ensemble. However, there is little eloquence to the programme, and it does not measure up to a network like HBO’s deep, intricate television standards, but is rather easier to follow. Also, unlike HBO’s current line-up, the new Dallas is unlikely to ever receive an Emmy nod. Although one can argue that the show is not attempting to be anything but the old Dallas for a modern audience. There are enough conventional narrative ploys to keep an audience interested, but there still seems something rather forced or contrived with the new Dallas. It may well be the put on Texan accents, or the flashiness of it, but for me, Dallas does not seem like anything more than a spin on past glories, and nothing significantly cutting edge. It rather seems to lack something, and that thing is certainly not cheesiness. Harsh perhaps, but that is to say it still appeals to people in rather large numbers, at least for now. In America, an average audience of four and a half million per episode persuaded TNT (the US television network) to renew it for at least a second season, while initial viewing figures seem to be around the three million mark after the Channel Five premiere in the UK – which is very impressive indeed. It does seem to me though, that the reboot of Dallas is just another excuse to stoke the financial fire. Not enough time has passed by for the previous show to be entirely forgotten, and re-runs continue to this day all over the world, so while a gamble, it still stands in better stead than some previous ideas. Charlie’s Angels, for example, had little attraction, especially as it followed the huge success of the Hollywood movie of the same name, and its equally successful sequel. 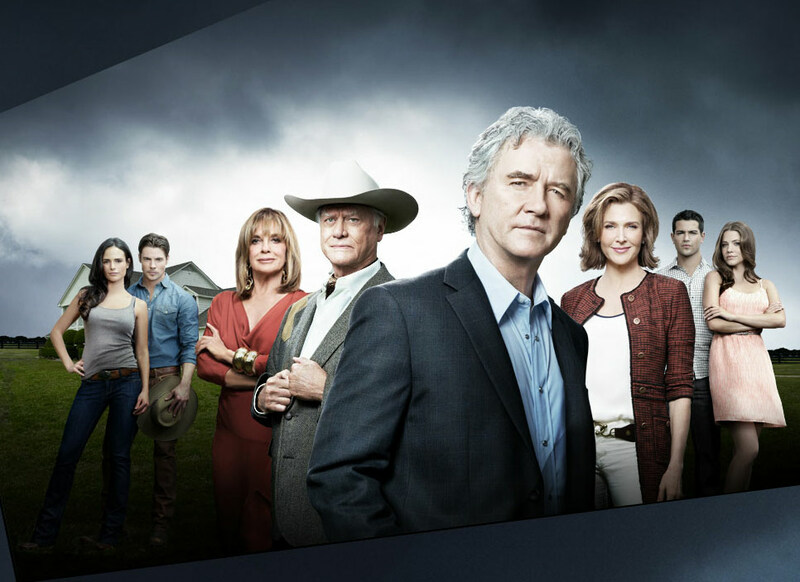 While that show had almost nothing to offer in terms of fresh ideas or potential money spinning opportunities, Dallas has a better chance, due to its predecessor’s reputation as one of the most successful television shows ever aired. In the 21st century, there is a market for the likes of 90210 and indeed, apparently Dallas, but for me a lack of originality overshadowed everything about the first hour of the reboot. 90210 will always appeal to a younger, teenage demographic, and shows which do grab the attention of this audience tend to be successful (at least initially), but I will be surprised if Dallas manages to be successful in the long term. Perhaps the show has merely enjoyed a lucky first year run in the US due to nostalgia, but for me, the show is unlikely to garner too much good press or new fans to endear it – in the long term – to a British audience. Sentimentality alone cannot, and should not, carry a television show. Especially one that is painstakingly cringe-worthy at times. The final scene of the first episode, where J.R.’s son is miraculously allowed onto the field of the Dallas Cowboys’ stadium was enough for me to refrain from watching any subsequent episodes, and it would not surprise me at all if others followed suit. I may be too young to comprehend the true magic of Dallas, but it just seems to me that this reboot can only damage the credibility that the previous show had. But hey, if I’m wrong, I’ll eat J.R.’s hat. Posted in Arts and tagged dallas, television, television review. Bookmark the permalink.